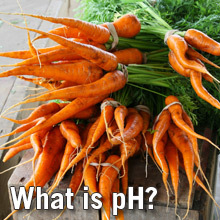 The pH value of a food is a direct function of the free hydrogen ions present in that food. Acids present in foods release free hydrogen ions; the hydrogen ions give acid foods their distinctive sour flavor. Thus, pH may be defined as a measure of free acidity. More precisely, pH is defined as the negative log of the hydrogen ion concentration. The range of pH extends from zero to 14. A pH value of 7 is neutral, because pure water has a pH value of exactly 7. 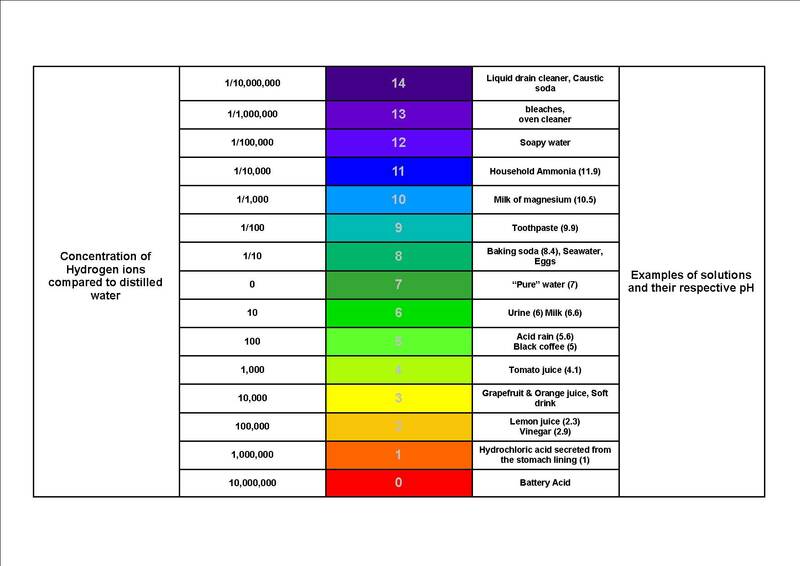 Values lower than 7 are acidic; values greater than 7 are basic or alkaline. Why is pH important in canning foods? Foods are typically classified as “acid foods” (low pH; pH of 4.6 or lower) or “low-acid foods” (high pH; pH of more than 4.6). The pH of foods determines the safe process for canning them. Acid foods such as fruits and pickles may be safely canned in a boiling water bath canner; the combination of acidity and boiling water (212°F) destroys spoilage organisms such as molds and yeast. A proper boiling water canning process is important to prevent growth of the acid tolerant molds and yeasts that may result in increased pH. Because the pH values of borderline foods such as figs and tomatoes may be slightly above 4.6, lemon juice or citric acid must be added before processing in a boiling water bath canner. Low-acid foods such as vegetables and meats must be processed in a pressure canner to be safe. 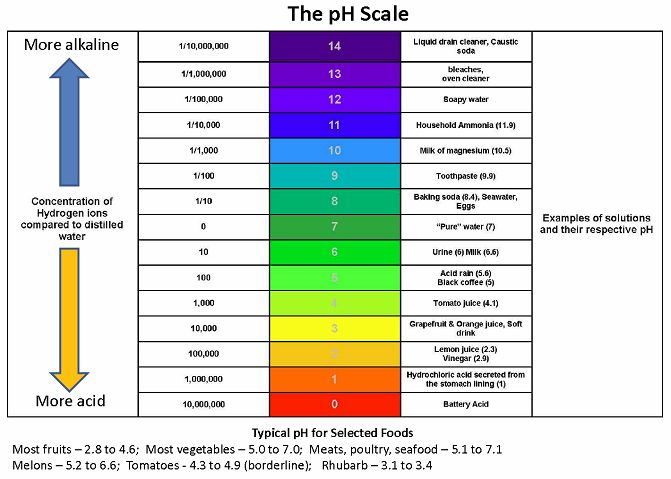 The pH of 4.6 is critical because of one particular bacterium, Clostridium botulinum. Clostridium botulinum produces a dormant form called a spore. These spores are found in the soil and in many other places. Spores are extremely hard to kill and may survive for many years waiting for a favorable environment to grow. An improperly processed can of low-acid food provides an ideal environment for Clostridium botulinum spores, since the bacteria grow in the absence of oxygen at pH greater than 4.6. Only a pressure canner can raise food to the temperatures (240°F to 250°F) necessary to destroy spores. Clostridium botulinum produces an extremely potent neurotoxin that is one of the deadliest poisons known. Eating food containing the toxin causes botulism; even trace amounts of the toxin are enough to kill. Fortunately, the spores of Clostridium botulinum will not grow if the pH of a food is 4.6 or less. For low-acid foods with a pH value greater than 4.6, these spores must be killed by heating during the pressure canning process. Andress, E.L. and J.H. Harrison. 2006. So Easy to Preserve, 5th edition. Bulletin 989, Cooperative Extension Service, The University of Georgia, Athens. FDA. Evaluation & Definition of Potentially Hazardous Foods. December 2001.